For those of you who are unaware, a short horror film from the tiny archipelago of Bahrain was screened at the 2018 ScreamFest Film Festival in Los Angeles! ScreamFest is the largest and longest running Horror Film Festival in the United States, and has premiered some of the most successful films in the Horror genre, including Paranormal Activity, and The Grudge! 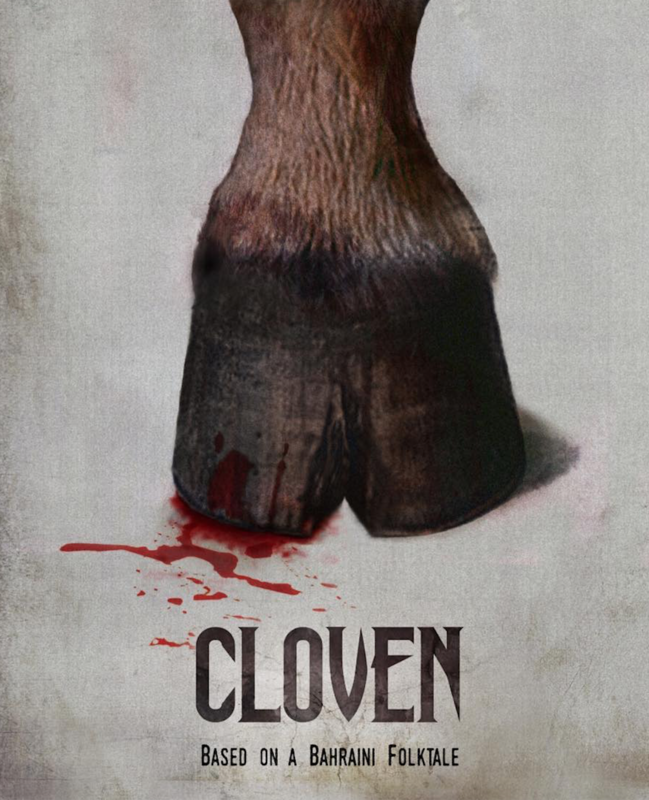 In this years line-up for Horror Shorts, we have the film Cloven, which was produced, directed, and acted-in entirely by a Bahraini cast and crew. The producer, director, and co-writer of the film, Mohamed Fakhro, produced this film with the intention of bringing filmmakers’ awareness to the production company, Blu Steel Films, a Bahraini film company that seeks to cater to both local and international studio needs. After studying film in Paris, Fakhro launched his mission to push the production of Bahraini narrative filmmaking. The intention is to empower filmmakers throughout the region to ensure a greater scope of representation in the film-making and visual story-telling. Most certainly, the kind of recognition Cloven has received at ScreamFest, a well-established L.A. Film Festival, indicates a step in the right direction. Starring as the lead in this film talented actress, Reem Erhama. Having acted in both short films, and feature-length movies, Erhama has travelled a long journey towards the acting world during which she has faced societal, familial, and religious customs all poised to curb her success, and stigmatize her choice of career. Irrespective of these obstacles, Erhama wishes to set an example for young Arab actresses as she hopes to inspire the upcoming generation to follow their dreams and make them come true on their own terms. This is crystal-clear indication that there could be no better team than that of Fakhro and Erhama; a creative duo demanding far-reaching representation and diverse story-telling, and being rewarding with recognition from the most exclusive film festival of their genre.